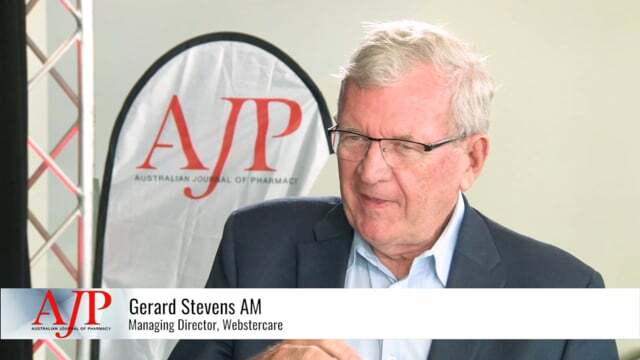 Well known and highly respected Sydney University pharmacy academic Professor Andrew McLaughlin was the early hero of the 2017 National Pharmacy Cricket Carnival. 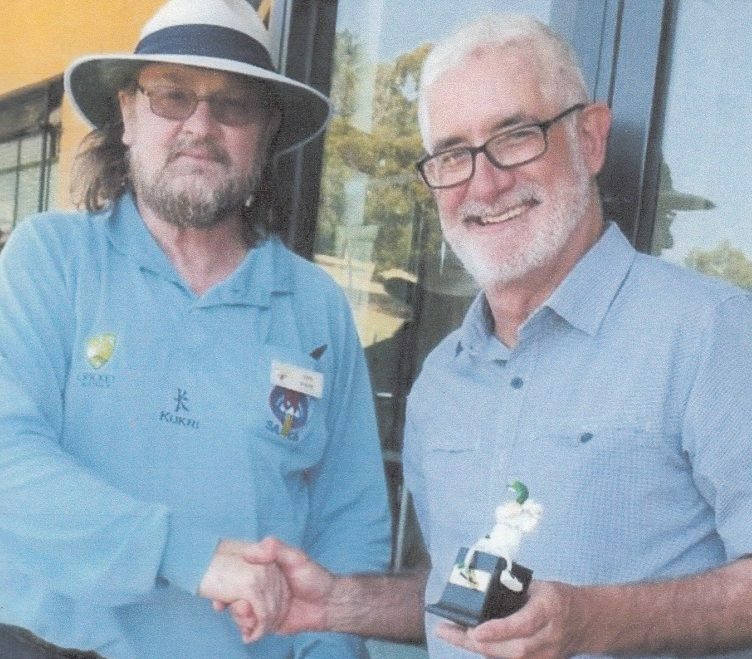 Professor McLachlan was awarded the ‘Man of the March’ award in the first match – played by New South Wales and South Australia – taking 4 wickets for 24 in 4 overs. New South Wales won by reaching the South Australian score without losing a wicket. SA all out for 123, NSW none for 126. This was the first match of the National Cricket Carnival played in Melbourne in January. 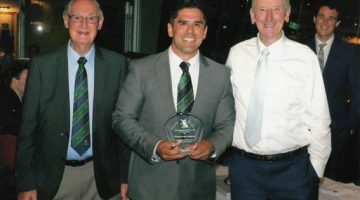 The match was part of the four days of Cricket and concluded with the ‘Trophy’ Presentation dinner held in the ‘Long’ room of the Melbourne Cricket Ground, with legendary former Australian cricket captain and commentator Bill Lawry as guest speaker.